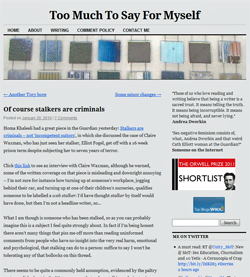 Submitted blogposts published at Too Much to Say For Myself, Comment is Free and Liberal Conspiracy. 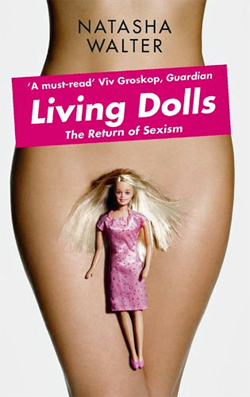 I’m Cath Elliott, a freelance writer, blogger and researcher, an unapologetic feminist, and a trade union activist. This is my personal blog. 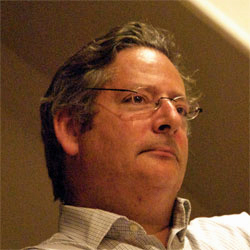 Former editor of The Specator magazine and the Sunday Telegraph newspaper, Dominic Lawson who is noted for his robust and iconoclastic opinions on political and social issue, has been writing a column for The Independent since 2006. He also writes for the Sunday Times. How can the state justify supporting homeopathy? Who are we to decide that a dependent life is a pointless life? Rachel Shabi was born in Israel to Iraqi Jews and grew up in England. 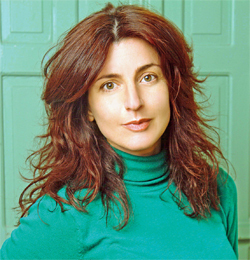 A journalist, she has written for a variety of national and international newspapers such as The Guardian, the Sunday Times, the New Statesman, the Independent on Sunday, Al-Jazeera English online, the National, Jane’s and Salon.com. For the past five years she has been based in Israel and reporting on the Middle East conflict. Her book, Not the Enemy: Israel’s Jews from Arab Lands, was published by Yale University Press in 2009. The Ephrussis came from Odessa, and at one time were the largest grain exporters in the world; in the 1870s, Charles Ephrussi was part of a wealthy new generation settling in Paris. Charles’s passion was collecting; the netsuke, bought when Japanese objets were all the rage in the salons, were sent as a wedding present to his banker cousin in Vienna. 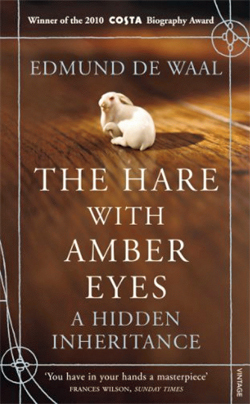 Later, three children – including a young Ignace – would play with the netsuke as history reverberated around them. The Anschluss and Second World War swept the Ephrussis to the brink of oblivion. Almost all that remained of their vast empire was the netsuke collection, dramatically saved by a loyal maid when their huge Viennese palace was occupied. In this stunningly original memoir, Edmund de Waal travels the world to stand in the great buildings his forebears once inhabited. He traces the network of a remarkable family against the backdrop of a tumultuous century and tells the story of a unique collection. The first and monumental biography of the life and thought of the ground breaking historian and writer on nationalism. 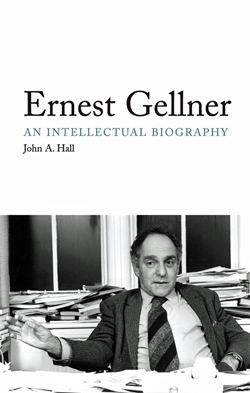 Ernest Gellner (1925–95) was one of the last great thinkers from Central Europe to be condemned by his Jewish background to experience the worst horrors of the twentieth century. He was a multilingual polymath, able to set the agenda in the study of nationalism and the sociology of Islam. His intellectual trajectory differed from that of similar thinkers both in producing a highly integrated philosophy of modernity and in combining a respect for nationalism with an appreciation of the power of modern science. In this definitive biography, particular attention is paid to his Prague roots, and to debates with Michael Oakeshott, Isaiah Berlin, Charles Taylor, Noam Chomsky, Edward Said, and many others. The Republic of Ireland, which declared itself in 1949, allowed the Catholic Church to dominate its civil society and education system. Investment by American and European companies, and a welcoming tax regime, created the ‘Celtic Tiger’ of the 1990s. That brief burst of good fortune was destroyed by a corrupt political class which encouraged a wild property boom, leaving the country almost bankrupt. New Labour came to power in 1997 amid much talk of regenerating the inner cities left to rot under successive Conservative governments. Over the next decade, urban environments became the laboratories of the new enterprise economy: of finance, property speculation, and the service industry. 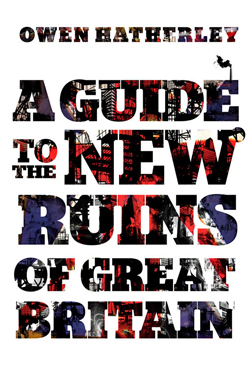 Now, with New Labour capsized, Owen Hatherley sets out to explore the wreckage—the architecture that epitomized an age of greed and selfish aspiration. From riverside apartment complexes, art galleries and amorphous interactive “centres” to shopping malls, call centres and factories turned into expensive lofts, Hatherley maps the derelict Britain of the 2010s, an emphatic expression of a failed politics. 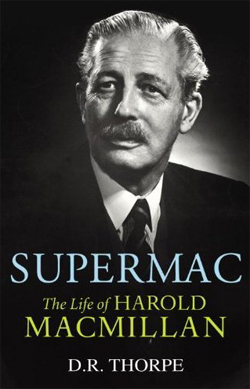 Great-grandson of a crofter and son-in-law of a Duke, Harold Macmillan (1894–1986) was both complex as a person and influential as a politician. Marked by terrible experiences in the trenches in the First World War and by his work as an MP during the Depression, he was a Tory rebel – an outspoken backbencher, opposing the economic policies of the 1930s and the appeasement policies of his own government. Churchill gave him responsibility during the Second World War with executive command as ‘Viceroy of the Mediterrranean’. After the War, in opposition, Macmillan overhauled the Conservatives on progressive and radical lines; after 1951, in government, he served as Minister of Housing, Defence Secretary, Foreign Secretary and Chancellor of the Exchequer. He became Prime Minister after the Suez Crisis, and between 1957 and 1963 presided over Great Britain’s transition from the age of austerity to that of affluence. He also proved himself one of the great publishers of his generation. 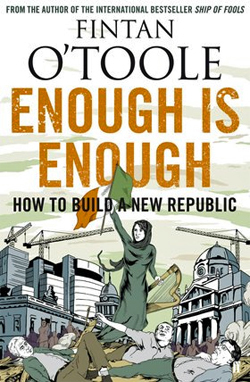 The culmination of 35 years of research by one of our most respected historians, Supermac gives an unforgettable portrait of a turbulent age. 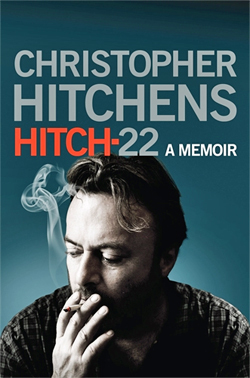 It is a magisterial biography destined to become a classic. Why does the West rule? Eminent Stanford polymath Ian Morris answers this provocative question, drawing uniquely on 20,000 years of history and archaeology, and the methods of social science. Why did British boats shoot their way up the Yangzi in 1842, rather than Chinese ones up the Thames? Why do Easterners use English more than Europeans speak in Mandarin or Japanese? To put it bluntly, why does the West rule? There are two schools of thought: the ‘Long-Term Lock In’ theory, suggesting some sort of inevitability, and the ‘Short-Term Accident’ theory. But both approaches have misunderstood the shape of history. Ian Morris presents a startling new theory. 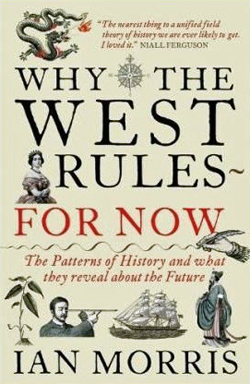 He explains with flair and authority why the paths of development differed in the East and West and – analysing a vicious twist in trajectories just ahead of us – predicts when the West’s lead will come to an end. For many years Sierra Leone and Liberia have been too dangerous to travel through, bedevilled by a uniquely brutal form of violence from which sprang many of Africa’s cruellest contemporary icons – child soldiers, prisoner mutilation, blood diamonds. With their wars officially over, Tim Butcher sets out on a journey across both countries, trekking for 350 miles through remote rainforest and malarial swamps. Just as he followed H M Stanley through the Congo – a journey described in his bestseller Blood River – this time he pursues a trail blazed by Graham Greene in 1935 and immortalised in the travel classic Journey Without Maps. Greene took 26 bearers, a case of scotch, and hammocks in which he and his cousin Barbara were carried. Tim walks every blistering inch to gain an extraordinary ground-level view of a troubled and overlooked region. As a journalist in Africa, Tim came to know both countries well although the wars made trips to the jungle hinterland far too risky. This is where he now heads, exploring how rebel groups thrived in the bush for so long and whether the devil of war has truly been chased away. He encounters other ‘devils’, masked figures guarding the spiritual secrets of jungle communities. Some are no more threatening than schoolmasters but others are much more sinister, relying on ritual cannibalism as a source of their magical power. Tim encounters these devils on an epic journey that demands courage, doggedness and good fortune. 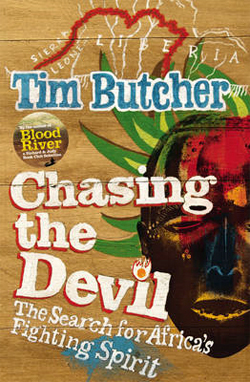 Chasing the Devil is a dramatic travel book touching on one of the most fraught parts of the globe at a unique moment in its history. Weaving history and anthropology with personal narrative – as well as new discoveries about Greene – it is as exciting as it is enlightening. For Zaiba Malik, growing up in Bradford in the ‘70s and ‘80s certainly has its moments – staying up all night during Ramadan with her father; watching mad Mr Aziz searching for his goat during Eid; dancing along to Top of the Pops (so long as no-one’s watching). And, of course, there’s her mother – whether she’s writing another ingratiating letter to the Queen or repeatedly referring to Tom Jones as ‘Thumb Jone’. as a journalist years later. 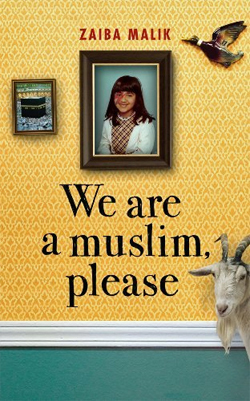 We Are A Muslim, Please is a stirring and enchanting memoir. We see, through Zaiba’s childhood eyes, the poignancy of growing up in a world whose prejudices, contradictions and ambiguities are at once distressing and utterly captivating. 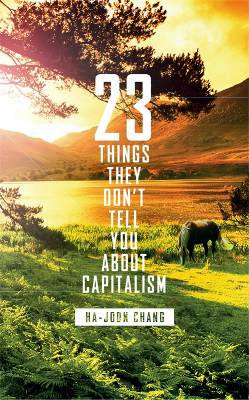 In 23 Things They Don’t Tell You About Capitalism the award-winning Ha-Joon Chang dispels the myths and prejudices that have come to dominate our understanding of how the world works. He succeeds in both setting the historical record straight (‘the washing machine has changed the world more than the internet’; ‘the US does not have the highest living standard in the world’; ‘people in poor countries are more entrepreneurial than people in rich countries’) and persuading us of the consequences of his analysis (‘making rich people richer doesn’t make the rest of us richer’; ‘companies should not be run in the interest of their owners’; ‘financial markets need to become less, not more, efficient’). As Chang shows above all else, all economic choices are political ones, and it is time we started to be honest about them. Leningrad, 1952. Andrei, a young hospital doctor, and Anna, a nursery school teacher, are forging a life together in the postwar, postsiege wreckage. But their happiness is precarious, like that of millions of Russians who must avoid the claws of Stalin’s merciless Ministry of State Security. So when Andrei is asked to treat the seriously ill child of a senior secret police officer, he and Anna are fearful. Trapped in an impossible, maybe unwinnable game, can they avoid the whispers and watchful eyes of those who will say or do anything to save themselves? 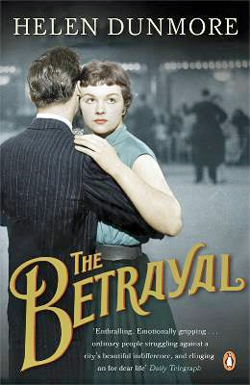 The Betrayal is a powerful and touching novel of ordinary people in the grip of a terrible and sinister regime, and a moving portrait of a love that will not be extinguished.